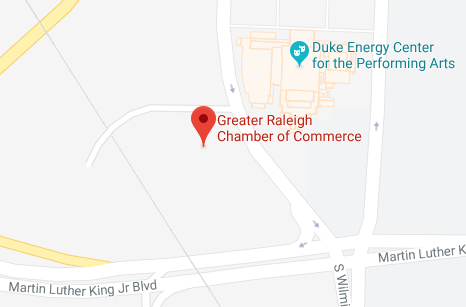 The Raleigh Chamber’s policy agenda positions our organization at the forefront of issues that impact the business community while increasing our visibility and credibility with elected officials and local community stakeholders. Support policies that strengthen the Wake County Public School System’s ability to provide an exceptional education to all Wake County students and advocate passage of WCPSS Continuous Improvement Plan that results in new and improved facilities. Advance policy initiatives that protect and expand investments in entrepreneurship and innovation, promote capital formation, and result in new job growth. Preserve, expand and promote current policies that facilitate economic development that encourages continued job investment in the region. Advance policies and reforms that improve regulatory efficiencies but maintain our high quality of life for new and existing businesses in Wake County. Support policies that strengthen Wake County Public School System’s ability to provide an exceptional education to all Wake County students. Support policies that address public funding to expand access and affordability of quality-rated childcare and Pre-K programs and facilities. Support the annual priorities of the Regional Transportation Alliance.